Rather do 10 Small Deals or One Large One. Which would you rather do? Jack Butala: Rather do 10 Small Deals or One Large One. Leave us your feedback for this podcast on iTunes and get the free ebook at landacademy.com, you don’t even have to read it. Thanks for listening. Jack Butala: Welcome to our show today. 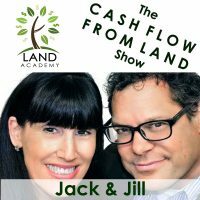 In this episode, Jill and I talk about would you rather do 10 small deals or one large one? Pretty simple question, and it’s fun to talk about this. It changes different points of my career, different things. Before we get into it Jill, let’s take a question posted by one of our members on landacademy.com, our online community, it’s free. Jack Butala: Hmm, that’s a great question. It’s like a masters degree level question. Jill DeWit: It is. I’m very impressed. Jack Butala: Here’s the answer. Common sense applies here, and all situations are different. Step one, almost in all cases, is to make a phone call to planning and zoning in the county that the property’s in, and ask this question. In some counties, it’s incredibly easy. In Arizona, there’s a statute that says no one can reasonably withhold access to your property. No adjoining property owner, land owner can reasonably withhold access. What does that mean? What it means is, if the property’s out in a rural area, and it’s not your primary residence, you’re going to be, depending on how seriously you want to take it from a litigation standpoint or lawsuit standpoint, you’re going to give the person access, so you might as well just cause a ton of problems, reduce all the problems for yourself and everybody else and say, “Heck yes, I’ll give you an easement on the right side of my property, and here it is.” Plus, now you’re getting better access to your property, so every place is different, that’s my point. Jill DeWit: There’s your access. Jack Butala: Yes, exactly. Money solves this problem. Jill DeWit: Money solves a lot of problems. Jack Butala: It sure does. What are some problems that money doesn’t solve Jill? Jill DeWit: Oh my goodness. I have to think about that. Money does solve a lot of problems. That’s so good. You’re right. I love your, just use common sense and reach out to the people. Some of the questions that we have sometimes, they just don’t know where to go first. You’re right, if there’s already an easement there, I find it hard to believe that there’s an easement that only the power company’s allowed to use, and nobody else. Jack Butala: Yeah, I question that too. I don’t actually know the answer to that, but I think that if it’s a utility, I don’t know. Jill DeWit: They may have established the easement. Jack Butala: That’s how I would handle the whole thing. I wouldn’t even really seriously look into it that much. Jill DeWit: I think maybe that’s the difference between selling wholesale and selling retail. Jill DeWit: We primarily sell to other people like us. Scott might be doing the retail thing where now he’s got mom and pop who want to drive their RV out there, and they really do have those questions, because he’s selling to the end user, which I do sell to, but that’s not my primary target. Jill DeWit: That’s why I don’t have to get too much into that stuff, somebody else does. Jack Butala: When you’re selling on terms, legal access like this really really matters. Usually, with large acreage, it’s almost, with all property access is a big issue, so I’m not advocating doing nothing. I’m just saying it seems to me that you and I spend a lot less time on this access topic than some of our members do. I’m glad, because I’m glad they’re protecting the asset, that’s good. Jill DeWit: You know too, sometimes it depends on the property. I’m telling people, “Let’s not get hung up on one property.” When you’re starting off, some people do get hung up and they want to know every last little detail like what was the snowfall last year, because it might come up. We don’t need to know that, seriously. Jack Butala: What is this snowfall? Jack Butala: I haven’t heard the S word in a really long time based on where we live now. Jill DeWit: Exactly. You know what I mean. I have some members that they come up with these questions, I’m like, “Let’s take a step back here. Why are we getting that much into this? We don’t need to know that much detail.” Then they have to go, “You’re right.” Then I have to say, “Okay look, you want to be doing 20 of these a month don’t you?” “Yeah.” I’m like, “Okay, and you have a day job, right?” “Yeah.” “Okay, do we really have that much time to get this much?” They’re like, “Oh no, you’re right.” Is that important? No, no it’s not. Jack Butala: It’s like with a first child, you know? You do everything right, and by the book, and you have a ton of questions, and then by the third child, it’s like they juggle knives and you don’t care. Jill DeWit: Exactly. They’ll figure it out. Jack Butala: I think that’s what this is. Yeah. Jill DeWit: You’re right. This is true. This is good. For us, this is kid number 16,000. Jack Butala: Yeah, we’re at 15,200 kids or something, whatever the number is. Jill DeWit: We don’t even know anyone’s names anymore, so we could care less about … no, just kidding, except it’s true. Jack Butala: We just number them, actually after number two, we just started numbering them. Jack Butala: One, two, three. Jill DeWit: All the kids were numbered. Our close friends at first looked at us sideways, and then I see them numbering their kids. Jack Butala: Yeah, that’s exactly what happened. Jill DeWit: Oh well yeah, I see that coming. Yeah. Jack Butala: Yeah, math failure for him makes a lot of sense to me. Jill DeWit: Oh shoot. I’m trying to think of a good story. Number one and number three next door have their phones taken away. Jill DeWit: Yeah. Number one is failing Chinese. Jill DeWit: I’m not kidding. He brought it from a D to like a B now. I’m like, hmm. It’s very interesting. You want to hear something else kind of funny? Jack Butala: I’m going to have to talk to those kids. Jill DeWit: You’ll love this. Number one, since the phone’s been taken away, has been a much happier kid. Jack Butala: Is it maybe his friends are idiots? Jill DeWit: I’m not kidding. They have noticed he’s been much happier since he’s not bogged down with teenage girls texting him all day long. Jack Butala: Wow. Yeah, no one wants that. Jack Butala: Even a teenage girl’s life would improve if her other girlfriends aren’t texting her all day with opinions of stuff. Jill DeWit: Right? Too bad the kid’s not start enough to start texting them back saying, “Oh sorry, my mom and dad took my phone away. Couldn’t reply.” I’m going to try that one. No, just kidding. Jack Butala: You know what they could do is, fortunately we didn’t have to go through this with our kids. What they could do is probably just have the messages forwarded. I would love to get teenage girl’s messages and then respond, and say some crazy stuff that would just blow their minds. Jack Butala: Like this, “No, your hair color really is not right.” That kind of stuff. Jill DeWit: Dude, you can’t do that to a teenage girl. That’s traumatic. Jack Butala: It makes me, I think it’s fun. Jill DeWit: I know you think it’s funny. We’ll leave it at that. Jack Butala: Hey, if you have a question, or you want to be on the show, reach out to either one of us on landacademy.com. Today’s topic is, would you rather do 10 small deals or one large one. This is the meat of the show. Jill DeWit: I know, I know. I have an answer. Jack Butala: Go ahead Jill. Which one would you rather do. Jill DeWit: Okay. If I was new, and I was starting out in investing, I would hands down do 10 small deals. Jack Butala: Ding, ding. You win a prize. Jill DeWit: What’s funny is, most people who are new say, “Why would I do that? Why don’t I just do one big one and just make $40,000 today right now on one, or do all these other ones,” and I have a lot of reasons why. It’s funny how this comes up. When you are early on, and you’re starting out, go for the small ones. Why? Because if one goes sideways, you have nine other ones, it’s not going to sink the ship, number one. Jack Butala: That’s right. Diversification of risk. Jill DeWit: Exactly. Number two, you’re going to get all this experience doing this one, okay, now I do another one, now I do another one, now I do another one. It’s like kids. By kid number three, you’ve got this. By deal number 10, you got this. Jill DeWit: Now I say start looking at some different things while two, you still have all this, I got these 10 small deals in a system where you got it going, you have this income coming in, you have to think about it. Now you want to diversify, and maybe do some other things? All right, now let’s look at a big one. Jack Butala: There’s no way to explain this to somebody who’s new and have them believe it, but here’s the truth. If you just try to do small deals all the time, once or twice a year, you’re going to knock one out of the park. The huge, awesome, incredibly profitable, shake your head, that’s never going to happen again kind of deal, that happens. It still happens to Jill and I once a year. Jack Butala: Just hit the singles. Just keep hitting singles. How do we do it now after however many years it is since the ’90s? Jill and I intentionally seek out ridiculously large, ridiculously profitable transactions, six digits plus. The smaller stuff, the machine still moves in the background, but we don’t specifically seek them out anymore. We’ve been sending mailers out for a decade or more, probably 12 years now, so even the mailers that we sent out in 2004, let’s say, people call us back. People pass away, they find the letter in a file, the kids do, and they call us and say, “Yeah, I want to check this off the list. I will sell that 40 acre property,” but do we seek those out? No. We go to high end counties and buy large properties and turn some huge money per transaction. I do not recommend you doing that in the beginning, just like Jill said. To answer this question, how would I answer it truthfully? I would rather do both. This is a machine. Even if you’re working on just Sunday only with a full-time job, you can handle this amount of transactions based on the tools that we have setup for you in our membership plans. We have this all setup so you can handle a pretty large transaction volume, and the whole back office function is functioning for you. Silence. Jill DeWit: No, because you know what? I don’t know, you conveyed it perfectly. I don’t really have anything to add. I’m curious if there’s any followup questions to this, because I think it’s pretty, it makes sense. Jack Butala: I will tell you, here’s a secret. Everybody says, “What’s the secrets? What are the secret counties? Tell us the secret. How can I skip some steps?” Listen, there’s no secret counties, and you can’t skip any steps. You got to learn this the right way. We’re data people, right? Jill DeWit: That’s the secret. Seriously. No, I’m not kidding. If you really want to know what the secret is, data. Jack Butala: Wow. Really? This is real? Jill DeWit: This is a real thing I’m reading verbatim on Facebook. This came in a week ago, last Monday. He said, “In the last five months, I’ve purchased 25 parcels, 80% was from your students. My model is simple. Buy great deals from wholesalers and resell on terms. Check this out. Jack Butala: Whoa. That’s great. He didn’t take it from an acquisition standpoint, he’s just doing the sales piece. Jack Butala: Oh because they’re actually, yeah, the new ones are all popping up with new deals all over the country. Wow, what a great business model. I never thought of that. Jack Butala: Just use our people and become that retailer, if you’re a retailer. Jill DeWit: Mm-hmm (affirmative). Yep. Our people know what they’re doing. Jack Butala: You don’t even have to join our group. Jill DeWit: Well that’s kind of true, yeah. Basically, our people know what they’re doing, and they are buying good properties, and he’s like, “Dude, keep it up.” It’s fueling him, so there’s buyers out there that that’s all they want. What you just said Jack is not crazy. I just did a deal review, data review consulting session with a guy, he’s quitting his $130,000 sales job, and he scheduled a call with me to ask me a bunch of questions. Basically to say, “Dude, am I crazy? Am I crazy quitting this job?” I asked him a lot of real pointed questions. Turns out this guy, he’s a commercial real estate acquisition person, and his father, I don’t even think we talked about this Jill, his father and his grandfather have been purchasing massive ranches in Texas and sub-dividing them. I said, “Wait a second. How do you sub-divide a ranch in Texas?” I know a lot about this. He said, “Oh no, it’s real simple. You just got to go talk to John over here in this county. He knows exactly what to do, and you got to blade some roads in, and make sure it’s all okay, but it’s a pretty easy process. I’m like, “Okay. They obviously have the inside track.” Long story short, I’m like, “You need to quit your job tomorrow. I mean, don’t quit it, quit it, but start the plan for quitting,” because he’s got it all figured out, and his dad’s standing right behind him. Did I tell you about this? His father’s saying stuff like this to him. Jill DeWit: Was it on Saturday that you talked to this person? Is it the one I’m thinking of? Jack Butala: I don’t know. I don’t remember when it was. Jack Butala: His father is like, “What are you talking about these Land Academy people? What is this?” His father is all skeptical and everything, and he gets into it, he’s like, “Oh my gosh. This is the greatest thing I’ve ever heard. You just send a bunch of offers.” Now his dad put up $300,000 for him to do this. Jill DeWit: Isn’t this funny? Jack Butala: He wants a return. His dad wants a return on it though, which I think is great. Jill DeWit: I swear the most, one of them, I think is our guy in San Diego. I think our most skeptical people are the best people, because they really came in serious questioning everything, and they go, “Oh I get it,” and they’re good. I love it. Jack Butala: I’d question this too. Jack Butala: We talked about this yesterday. Who would you partner property with? That’s the conversation you and I had. I had a long list of people that are prevalent that I would never do a deal with. These people on these HGTV shows, no freaking way I would ever do a deal with them. Jill DeWit: I know. I’m going to do Tarek and Christina. Just kidding. No. Jack Butala: Just ridiculous, it really is. You can tell in 30 seconds whether or not you want to do a deal with somebody, I think. It’s like, do you want to have a second date. You know it immediately. Jill DeWit: Mm-hmm (affirmative). Yep, you’re right. I agree. Jill DeWit: We use it everyday to buy property for half of what it’s worth, and sell it immediately. Jack Butala: You are not alone in your real estate acquisitions. Good show. Jill DeWit: Yeah. [inaudible 00:18:36] acquisitions, it’s a little bit longer, but it sounds good. Jack Butala: We all got 13 years old. Jill DeWit: What? Where were you? Never mind. Jack Butala: I mean me. 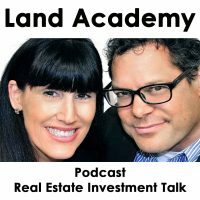 Jack Butala: What’s the perfect description of a person that you want to do a real estate deal with? Please be brutally honest. Seasoned, good, seasoned. Jill DeWit: Oh my gosh, who do I want to do an, okay, so am I buying from them, or selling from them, or working with them? What am I doing? Jack Butala: You’re not just doing one deal. You’re like, all right, we all get it together. We are on the same page. What’s their background, what’s their gender, what’s their age, all of that, be really honest. Because we do a bunch of deals with our members. Different deals with a lot of different members, and some are awesome and some aren’t. Go ahead, it’s a man. Jill DeWit: It’s a man, and the reason why, is because men take risks that women don’t usually take, so that’s number one. Jack Butala: That’s a good thing? Jill DeWit: For me it is. Jack Butala: It is for me too. We were made for each other. Jill DeWit: You know what? Here’s why. If it passes my test, I don’t have to convince them. If it’s another woman, I have to convince them, and I don’t really want to go through it all again. That’s why it’s a man. It’s a man over 30 preferably, maybe even older, they’ve been around the block, they know how business works, they know how to get things done. They have resources, and when I say resources, financial resources, so we don’t have to worry about funding. We should never have to sweat that. They understand real estate. My perfect person has just been doing it the hard way, they’re going out looking for deals, and they’re finding deals, and they’re getting everything done, and then I can come along and show them the easy way, and the right way, and just sit back and send some offers, and it’s like, “Wha,” that kind of thing. Jack Butala: All of that, but I’m going to add the people that I’m doing deals with that just get it, where it really just unfolds the way it should. It’s like if you crumple up a piece of paper and then it just starts to unfold, you drop it on the floor and it unfolds by itself. That’s what you want. The people that do that, they seem to have some connection to real estate in the past that went sideways. They renovated a house and lost money, or they did it some way that it just didn’t work at all, they didn’t like it, and so then they join our group, they get that first mailer out, do like four or five deals, and they’re jaws on the ground saying, “Man, I wish I would have known about this 20 years ago.” Now they want to make up for lost time, and so they’re all type A personality about it like I am, like man let’s get this thing done now. Let’s pull the stops out, let’s make this, institutionalize it, so to speak. Jill DeWit: I love it. It’s like it was always in there, so they never quite lost that. Jack Butala: Yeah, it’s inside. Jill DeWit: They got it, they understood it back then, but that went sideways, so they know there’s a better way, they just haven’t figured out what it is yet. Jack Butala: Yeah, that’s it. Jill DeWit: Then they come along, they’re like, and that’s funny, because people have said that. They’re like, “Ah, now I know. Where were you guys?” I remember in the beginning, or even now and then it comes up, I say, “We got here as fast as we could.” Everybody likes that. It’s true. Jack Butala: Here’s who I don’t like doing deals with, when people really know a lot about the geographical area. If they’re local, and they’re saying, “Oh up there is better than over here, and this here is better,” that throws a wrench in everything. It actually truly is ironic, because the less you know about, I can’t believe I’m saying this, to a degree, the less that you look at and get married to these properties, the better you’re going to do. Jill DeWit: Oh, you should never get married. Jack Butala: Well said. I agree, actually. Jill DeWit: I can’t believe I beat you to that one. Jack Butala: You know what I mean. Jack Butala: We’re data people. It’s more about the data than it is the actual piece of real estate. Jill DeWit: I think that’s harder for women than it is for men. Jill DeWit: They get married to it. It’s like they get married to a house, they’re like, “Oh but I see our family, and our Christmas tree in the corner.” Oh no, no, no. That’s how you lose financially. Jack Butala: Yeah, it is. Here’s another personality type that I’ve tried it and it doesn’t work socially and professionally. If you’re a by the book person, if you just have to, everything’s got to be by the book, you got to get approval from all, just stay home. I’m not saying we intentionally break rules. Go ahead. Jill DeWit: You know what? I have to say, if I didn’t know the rule was there, how did I break it? Jill DeWit: I didn’t think to look. Jack Butala: And California now. We’re in the business of flipping property. This is our full-time job. Every single thing that we know about this property is in the posting, so if you have additional questions, we do not have the answers. We have to seek outside resources. Maybe call the county, and maybe do the research on Google or figure it out. That seems to work really well. It makes people, especially former real estate agents, because they really do look at every deal. Former real estate agents, this makes them nuts I’ve noticed. Jill DeWit: Mm-hmm (affirmative), I agree. It’s good though.